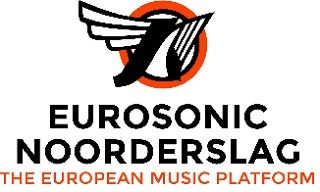 Traditionally GO Group hosts a fine bunch of panels and discussions at Europe’s most important music business conference and showcase festival: Eurosonic Noorderslag in Groningen/NL. We are grateful to be a part of this fine event and glad that we have managed to create another four session with exclusice speakers on most relevant topics related tonevent sustainability. How do you implement green policies in the organisation of a major music and broadcasting event like the Eurovision Song Contest 2015 in Vienna, or at Glastonbury, the giant open air festival with its 170,000 visitors? And what happens on the journey from theory to practice? How social marketing can change audience behaviour in regards to sustainability and health & safety related issues. Teresa Moore will combine the practical experiences of the panelists who work with green issues and H&S with a scientific approach. There are different approaches to reaching out to punters and spreading messages including those about sustainability and green issues. And these different methods can be applied before, during and after the festival. We will hear about the experiences from one of Europe’s finest and most innovative festivals, Roskilde in Denmark, as well as from an event within an event, called Arcadia Spectacular and from tours. This panel is about best practice, ranging from playful to strict and back again. A session about re-arranging a festival’s power plan. It’s about saving energy, CO2, fuel and – most important of all – money! Let’s make sure that… You’ve Got The Power!